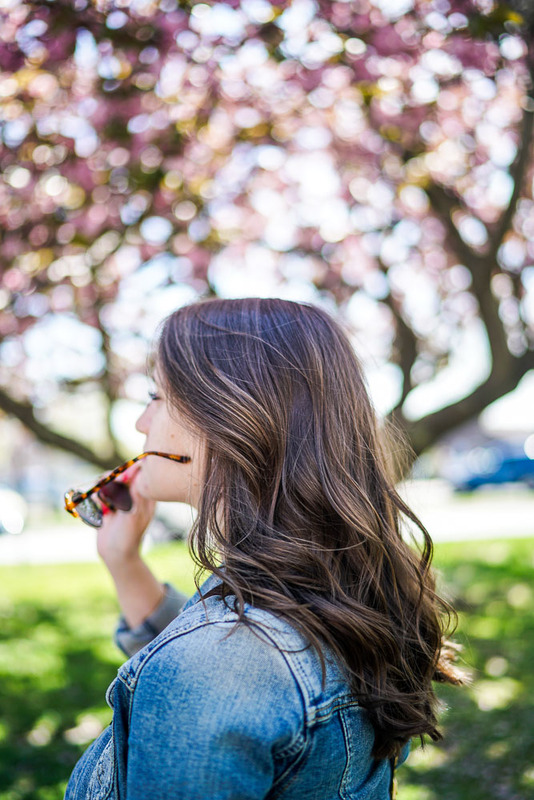 Summer is around the corner and it's time to start stocking up on your must haves for the season! 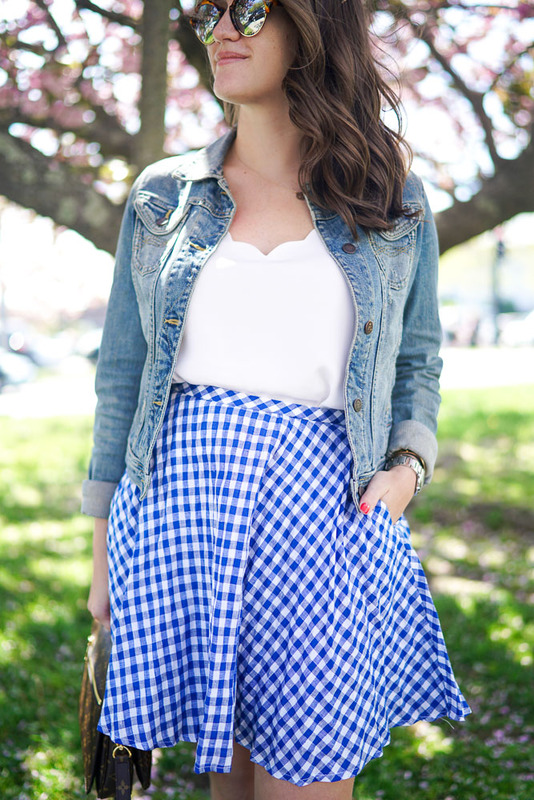 I know I've started shopping around and I've found this PERFECT gingham skirt! 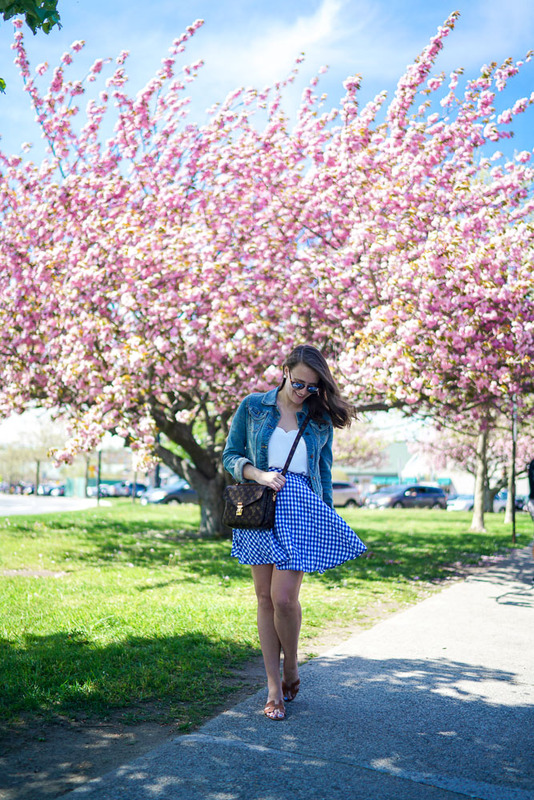 This gingham skirt (currently on sale) might be far and away my favorite thing I've purchased all year. Not only is it *so* me but it's actually really comfortable, flattering and it has pockets (!!). The material is also really lightweight so it's perfect for those warmer days. I've worn this about five times since I got it in. Mainly to work or out with friends on the weekend but I also wore it traveling to Rhode Island the other weekend and around town our first day. The wind would get a little gusty by the water and I'd have a mini Marilyn Monroe incident but other than that, it was perfect for the trip. I wish they made this skirt in more colors/patterns! I think it's so perfect for spring and summer (and it's TTS). Obviously if I like something, I want to buy it in every color (see: scallop tank). So if you're looking for the perfect skirt for your summer must have list, look no further! Wow these photos are stunning!! Beautiful photos. Love that skirt!! Such pretty photos, I love your skirt Krista! Obsessing with this casual look on you! I just picked up a few gingham pieces from Ann Taylor - so great for Spring/Summer! Dying over this fit and print! It was made for you girl! I love this look!! That cami is so cute.